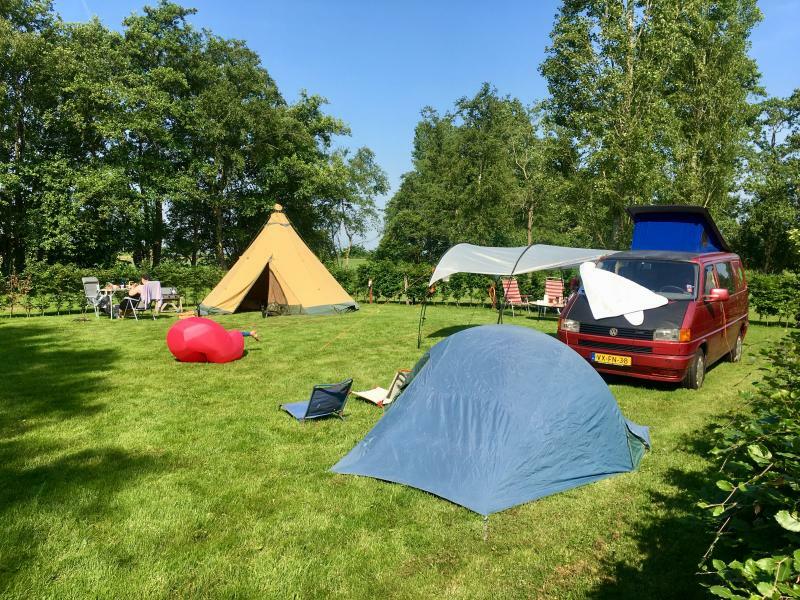 The spacious camping spots on the 'Beukenhorst' are very private and are surrounded by trees on their own field. 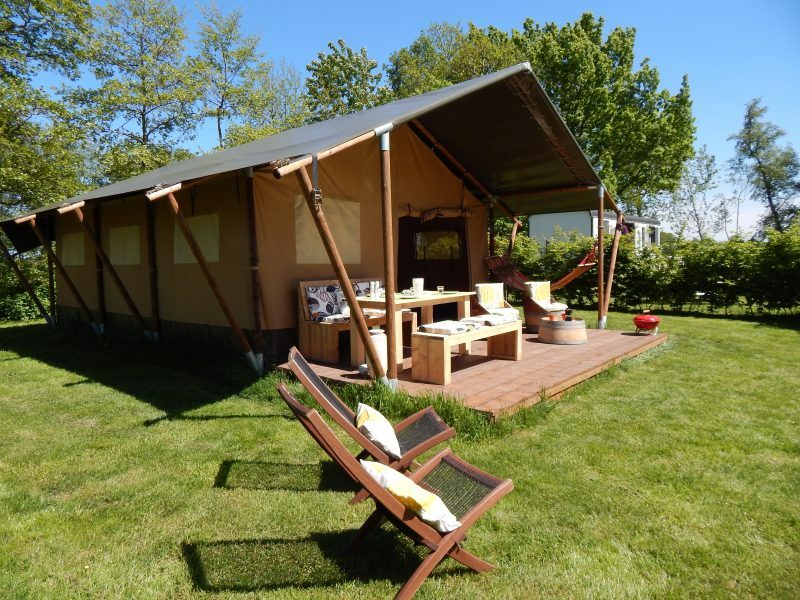 There are 2 large camping sites of 150 m2, with each heated private bathroom. 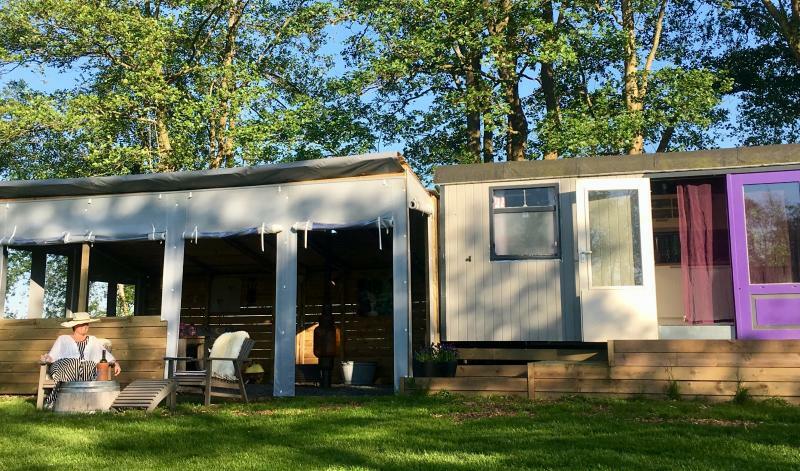 Are you on holiday with family or friends, then you rent the entire "Beukenhorst". 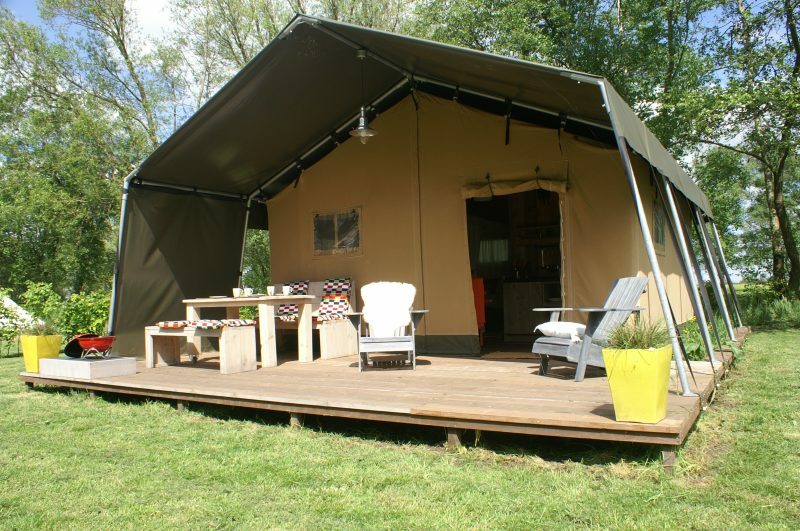 There is then room for 3 caravans, 3 small tents and a maximum of 12 people and the dog can come along. 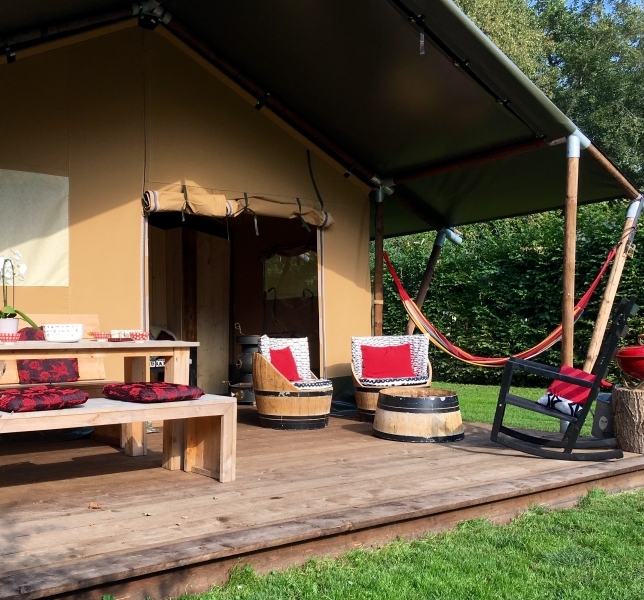 Wilt u écht dichtbij de natuur zijn in een knusse tent maar heeft u geen kampeeruitrusting? 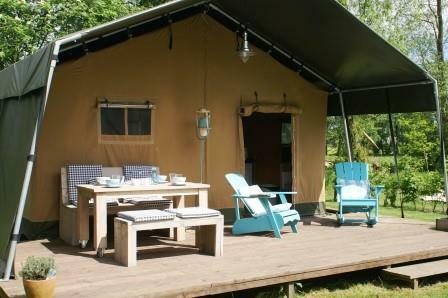 Dan is tipi tent “Kiowa” iets voor u. Deze tent stamt af van een Indiaans volk uit het zuiden van de USA en is gezellig ingericht met dekens, kussens en schapenbont 16 m2. 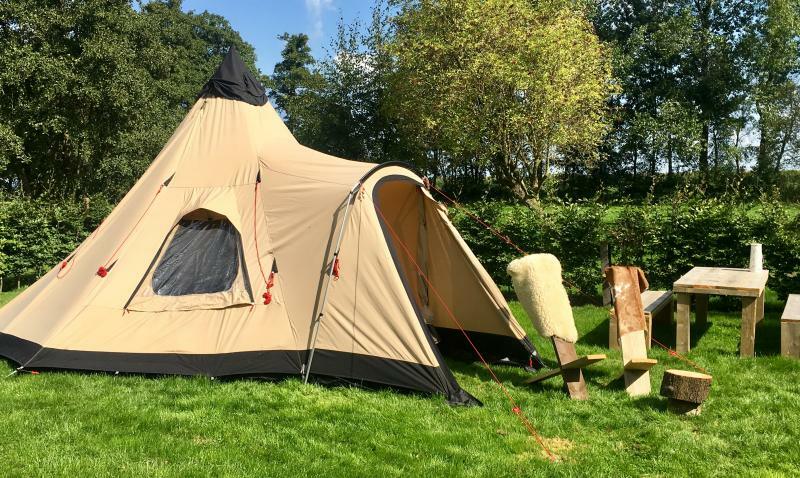 A luxurious family tent for 5 people (4 adults) in Asian style. 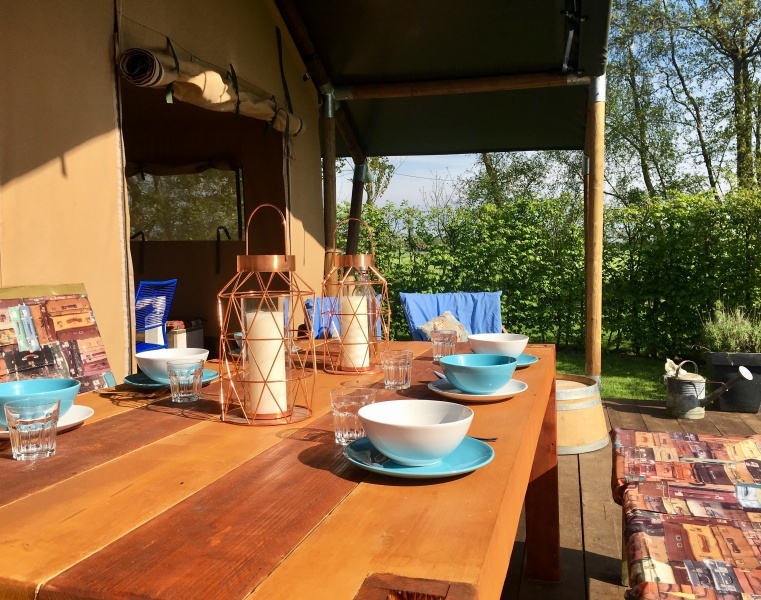 With comfortable beds, a rain shower and separate toilet, a fully equipped kitchen (including oven) and a lovely gas stove for the cooler evenings. On the porch is a sturdy table, lovely chairs and a hammock. 35 m2. In July / August there is a fixed arrival day. This varies per stay. The calendar only shows availability if you search on this day. Do you need help? Call us +316 5119 5858 or mail info@kampari.nl us. We are happy to help. At reservation we ask 50% as deposit. You must transfer the remainder to account number NL37 RABO 0166 3922 19 no later than 4 weeks in advance, stating your booking number. Kampari does not have a pin machine.